New cassette release will be out officially on Dec 1, 2013. 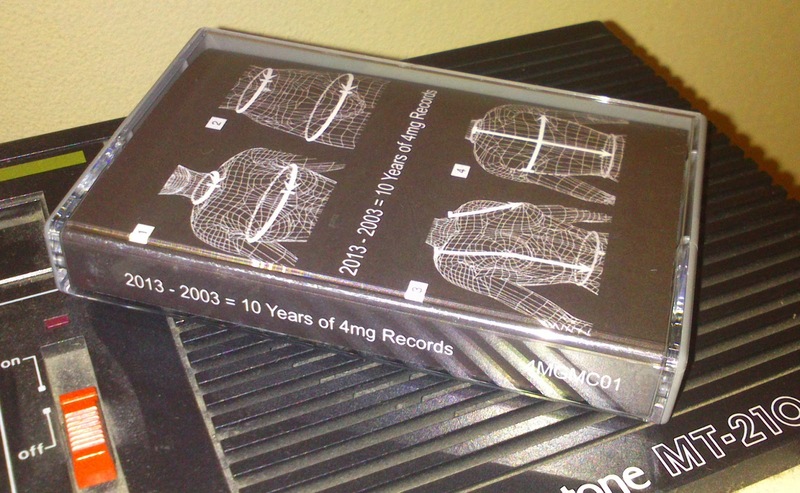 Collection of 11 tracks from 11 artists released on cassette for the 10th Anniversary of 4mg Records. Please contact me if you would like to buy a copy. Each cassette contains a download code. Limited to 100 copies. Cassettes are chrome type C44.